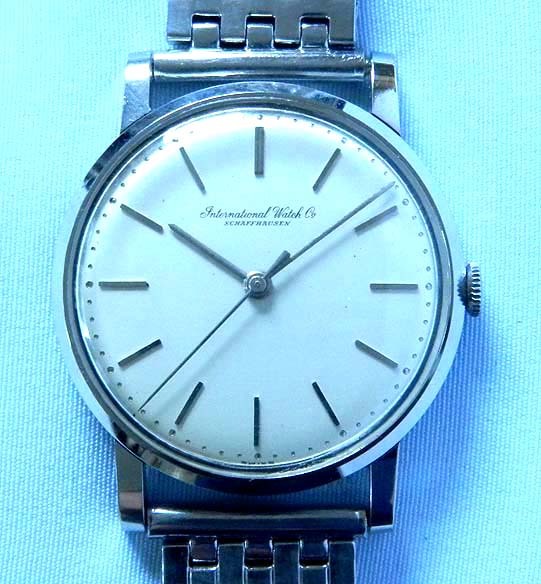 Good Stainless Steel IWC vintage wrist watch with downward sloping lugs circa 1957. 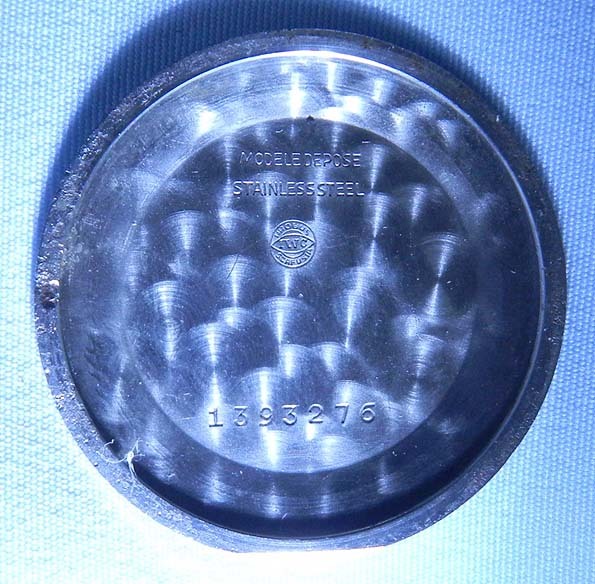 Original silver dial with white hands and markers. 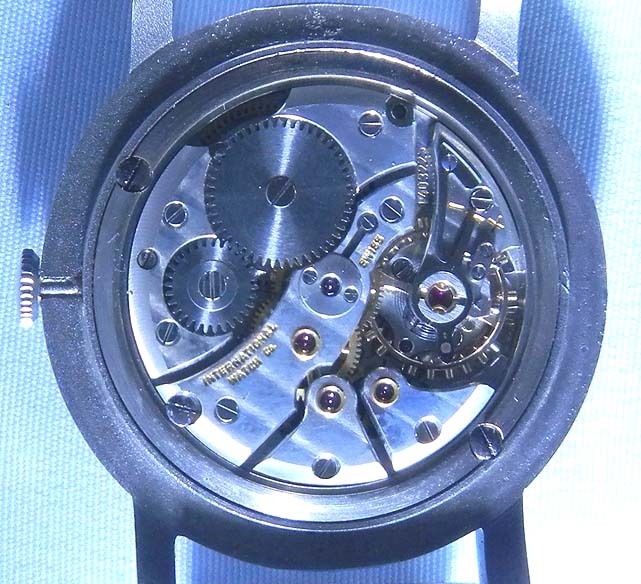 Rhodium 16 jewel movement. 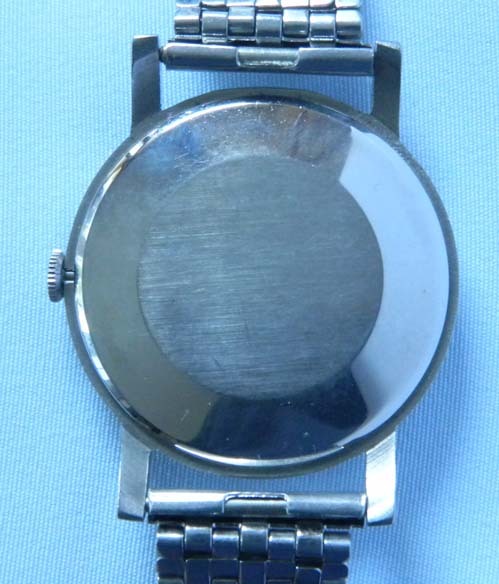 Overall length including the band 7.5 inches.